The practice of Massage Therapy is the assessment and treatment of the soft tissues (muscles, tendons, ligaments, fascia) and joints of the body. This is achieved primarily through manipulation of the soft tissues and joints to develop, maintain, rehabilitate or augment physical function. When any of these tissue types are not in their proper place or alignment, massage can help to bring them back to where they should be. For example, shortened muscles can be lengthened, lesions on tendons can be reduced and tight fascia can be released, all to allow for better biomechanical movement. In addition, various forms of hydrotherapy, remedial exercises and/or other self-care programs are used in conjunction to enhance the treatment results. What is the difference between an RMT and a Spa Practitioner? Registered Massage Therapists (RMT’s) in British Columbia are healthcare professionals committed to restoring and maintaining optimal health and pain-free function of the body. They are educated and trained to accurately assess and provide treatment with techniques including, but not limited to: massage and manual therapy, joint mobilization, fascial release and manipulation, hydrotherapy and rehabilitative exercise such as stretching, strengthening, postural exercise and patient education. RMT’s in BC are members of a self-regulating health care profession and as such, are legislated by the government under the BC Health Professions Act. The scope of practice for massage therapy in BC provides mandatory standards and guidelines for every RMT. RMT’s undergo a rigorous 3000-hr intensive program of study culminating in their ability to challenge the College of Massage Therapists of BC certification exams. RMT’s are required to undergo on-going educational upgrades to continually enhance their skills. 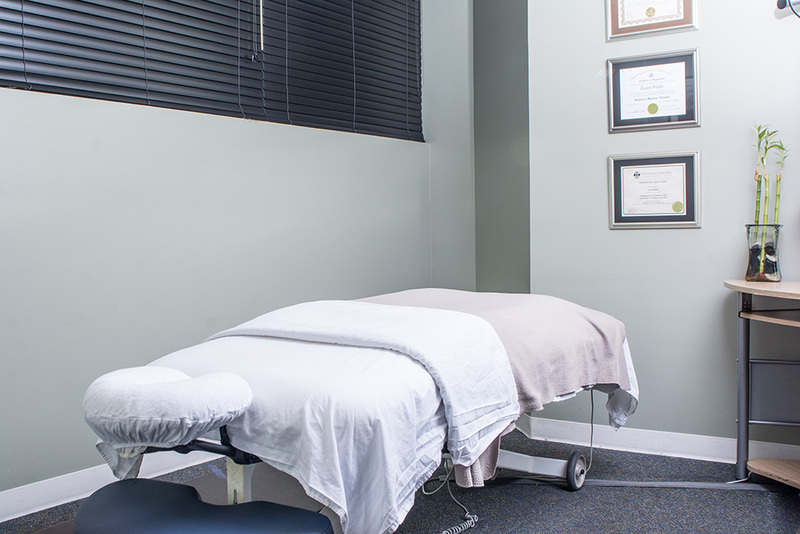 As such, most insurance companies providing reimbursement for massage therapy services, usually require that treatment be provided an RMT, with or without a doctor’s referral. I will review your health history intake form, gain additional insight into your presenting issue and if necessary, perform some specific assessment techniques to help identify any additional information that might be helpful in your treatment. I will then instruct you how to position yourself on the massage treatment table, the level of undress required for your particular treatment and will then leave the room while you undress to your comfort level. You will relax on a padded table designed for stability and comfort and cover yourself with the sheet and/or blanket. The room will be warm and quiet, with ambient music to help set a relaxing mood. I will knock before entering to ensure you are settled and the session will begin. The massage is done with professional massage lotions or light oils that are hypoallergenic, scent free, are good for your skin and absorb easily. If you have any particular allergies, please advise your therapist. I will begin by applying the lotion to your body with slow, even strokes. As the massage progresses, I will ask you if the level of pressure is to your liking. Remember, the more feedback that you give, the better the massage will be for you. A typical one-hour massage covers the neck, back, arms, legs, face, upper chest and scalp. Some clients like to receive massage over their stomach area, some do not, so please communicate your likes and dislikes with the therapist. If you have any sensitive or ticklish areas that you want avoided, please let me know. You can talk during your session, or remain quiet. After your massage is finished, you will be given privacy while you dress. What should I expect afterward? After the session, most people feel extremely relaxed and sometimes feel a little fatigued. Depending on the type of massage, area treated or pressure used, you may also feel some mild discomfort, however, this is usually only temporary and typically doesn’t last more than 48hrs after your massage. Many experience freedom from aches and pains that have built up over weeks and months from tension or repetitive activity. After an initial period of feeling slowed down, clients often experience an increase in energy that can last for several days. I recommend avoiding intensive exercise on the day of your treatment and to drink extra water to help clear/flush out areas of the body where extra attention was given. An hour is the usual length of your treatment. This allows for a deeply relaxing full body massage, or a more in-depth work on a particular area, for example back, neck and shoulders. Note: An hour is usually recommended for all first time clients. This enables me some extra time to interview you and determine if appropriate assessment is required to help structure the current and any on-going treatments while still allowing for hands on treatment time. What will the room be like? My treatment room is cozy, clean and comfortable. I strive to create a relaxing atmosphere for clients by using freshly laundered sheets, soft lighting and relaxing ambient music. Please don’t hesitate to let me know if you need me to adjust room temperature, music selection or anything else you might require to enhance your treatment. View treatment room here on the right. In the case of general, or relaxation, or what is often called “Swedish” massage, there is an almost universal procedure among massage therapists. You are asked to undress to whatever point you are comfortable. Most clients choose to undress entirely or choose to leave on their underpants. Whatever you choose, I will always act in a professional manner, and will provide you with a relaxing, effective treatment experience, no matter what your level of undress. Some clothing may, however, interfere with the natural flow of massage, and preclude the use of certain techniques and/or lotions. I will leave the treatment room and give you sufficient time to undress. You will then get on the treatment table under a sheet and/or blanket to cover yourself. During the massage, only the part of your body currently being worked on is uncovered. When necessary to change your position during treatment, I will first make sure that you remain properly covered and then tell you what to do (such as turning over). I am well-trained in draping techniques to protect your level of comfort and modesty. If you are uncomfortable with any aspect of the massage, please inform me immediately. What else is necessary besides treatment to get the most out of my session? You will be in the treatment room for approximately an hour. How you spend the other 23 hours of the day also influences your recovery and therefore, requires some attention. I might advise you to do or not to do certain exercises, apply heat or ice packs or review some stretches that might enhance your treatment response. In some cases, altering your occupational and recreational activities might be necessary. I will make recommendations for your particular condition to assist with your improvement. Will you instruct me in any stretching exercise that might be helpful for my condition? At some point, I may feel you will benefit by doing certain stretching or strengthening exercises at your home or office. In this case, I may recommend a specific exercise for your condition. Please note: Time spent explaining self-care is included in your overall treatment time. Therefore, your actual time being massaged may be shortened accordingly. It is also important to note that exercise will not provide any benefit unless you are committed to doing it regularly and following the instructions given. In case you are not ready for this or already have someone looking after you in this area, please do not hesitate to let me know. There are numerous types of massage and bodywork. I am trained specifically in Swedish Massage techniques which utilize a variety of different strokes including muscle kneading, rocking movement, posture and movement re-education, application of pressure to specific points, stretching and more. The most effective treatments incorporate a variety of techniques to best treat each individuals needs. Massage is a wonderful way to relax, relieve pain and discomfort, and help you cope with stress and fatigue during pregnancy. Massage helps relieve pain in your muscles and joints that must support extra weight and also helps increase flexibility, making it easier for your body to adjust to additional weight. Massage therapy is one of the ideal natural therapies for management of chronic conditions and prevention of illness. Regularly scheduled massage treatments during pregnancy are particularly essential since many medications that are considered relatively safe or acceptable to control these symptoms and discomforts (such as pain killers, anti-inflammatory, laxatives, sleeping pills) are not recommended (or desirable) to take during pregnancy. Yes. That’s why it’s imperative that you complete your health history questionnaire in detail and allow me to ask you general health questions. It is very important that you inform me of any health problems or medications you are taking. If you are under a doctor’s care, it may help me to have a referral to describe your medical condition so your healthcare providers can work together as a team to treat you most effectively. Does my insurance cover the cost of massage? Many insurance plans provide coverage for massage therapy by a Registered Massage Therapist (RMT). There are usually different limitations on your individual coverage so I recommend that you contact your plan administrator for coverage details so you will be aware of what is covered. I kindly request that you pay for your visit at the completion of your treatment. I will provide you with a detailed receipt that you can then submit to your insurance company for reimbursement. This applies to MSP, ICBC and WCB claims as well. As a Registered Massage Therapist, (licensed under the Health Practitioners Act - the same law that governs physicians, dentists, etc. ), tipping is not expected or necessary. Your return visits are the best reward and your referral is always most appreciated. © 2017 Aaron Hicks. All rights reserved.